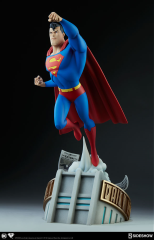 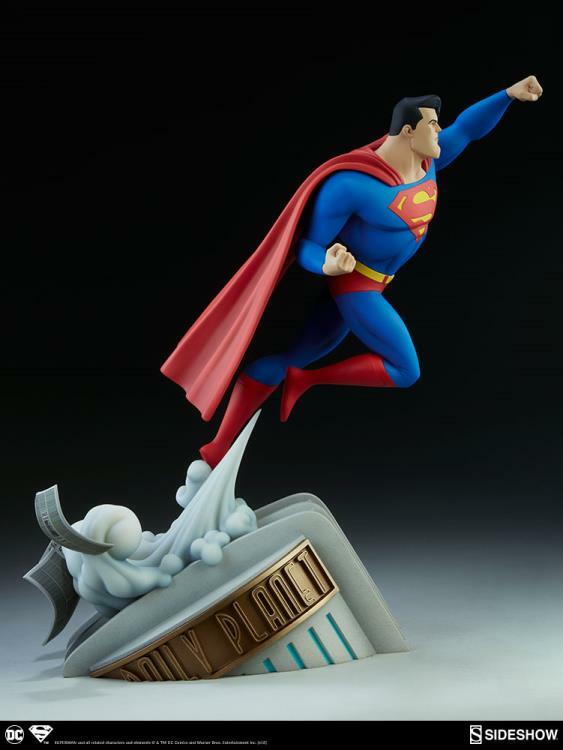 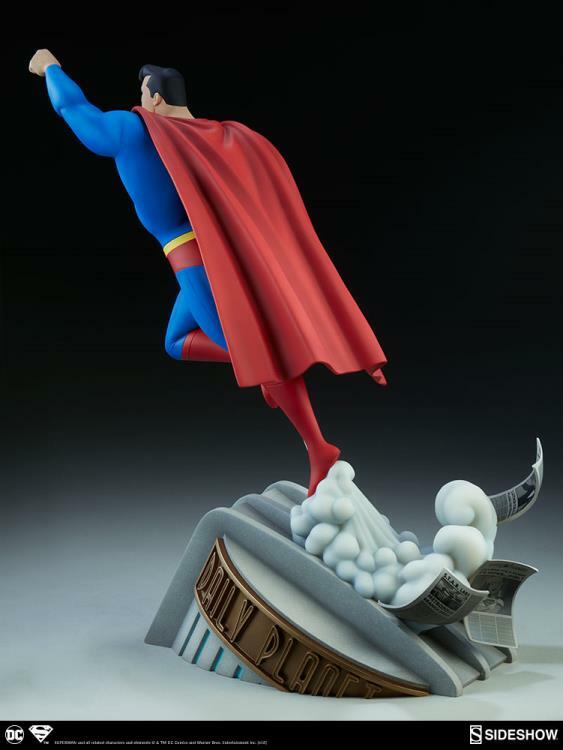 Inspired by Superman’s various animated appearances, the Superman Statue measures 20” tall as the Man of Steel takes flight off the roof of the Daily Planet building. 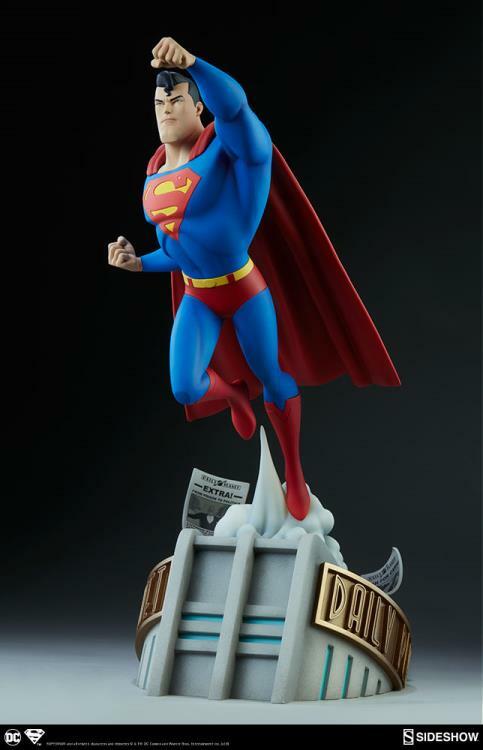 Three newspapers are caught in the gust of wind, each with hidden references to other DC animated character in the headlines. 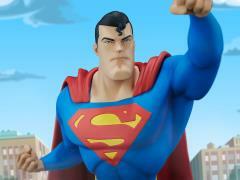 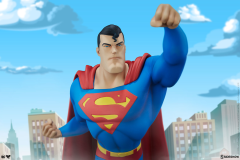 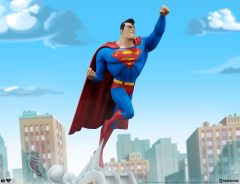 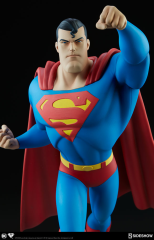 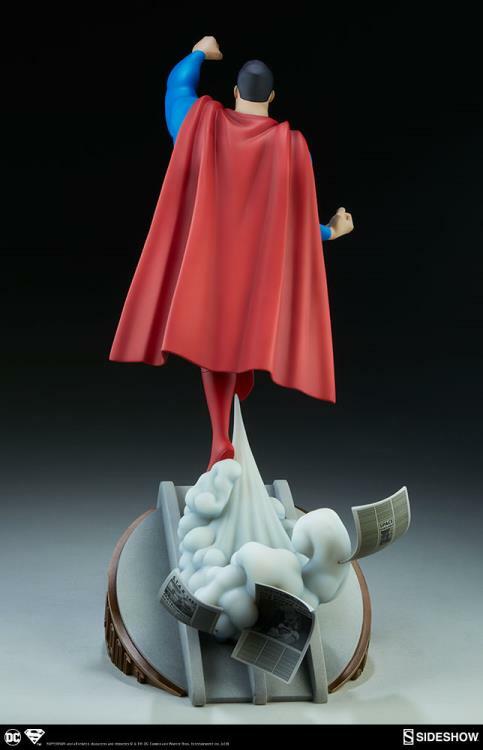 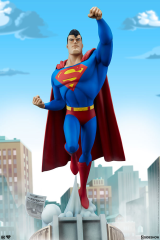 The resin Superman Statue features a sculpted and stylized costume and cape. 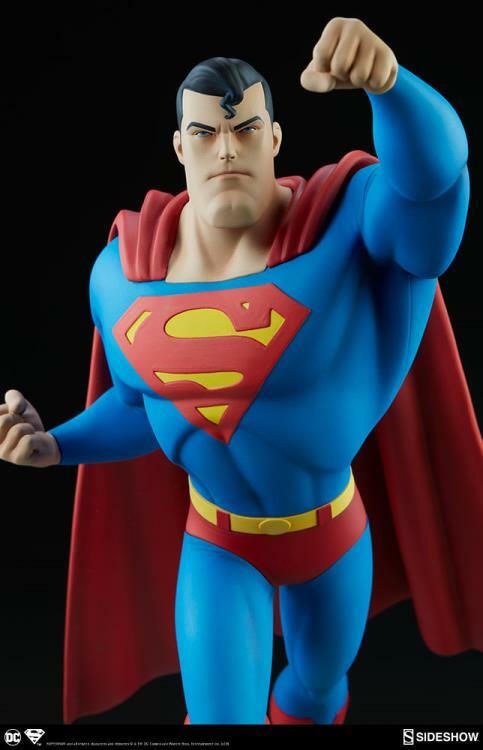 His bright blue and red bodysuit has yellow accents along with the symbol of the House of El on his chest. Superman’s portrait features his famous kiss curl, a strong jawline, and a determined expression as he fights for truth, justice, and the American way.